In June of this year, a 21 day Mindfulness retreat was hosted at Plum Village in France for scientists throughout the world, taught by the Vietnamese Zen teacher Thich Nhat Hanh. At this retreat Thay explained the connection between the five mental formations and the neural pathways in the brain. He describes how, with the practice of mindfulness, we can erase the neural pathways that lead to suffering and open new paths that lead understanding and happiness. 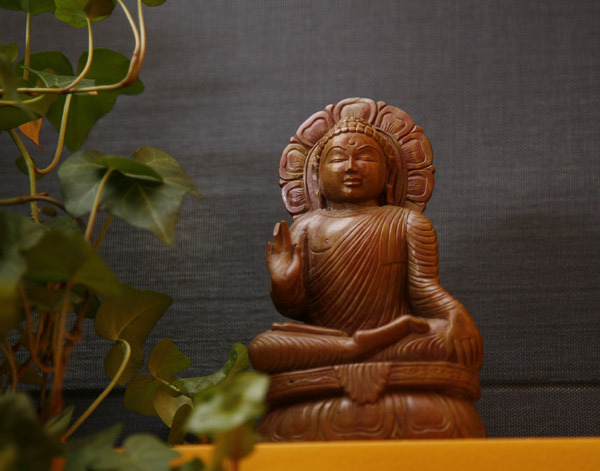 From this came an article by Paul Tingen call Using Mindfulness to Rewire the Brain.We’re reading this article at the end of classes at the Yoga Path to foster a practice of tapa/discipline (the third niyama),. We are striving to do things in our lives that strengthen well-being and thus allowing us to be strong enough to mindfully embrace and transform the suffering in our life. The link to this article is below.